Alli Miles has an amazing way of looking at everything in a wonderfully graphic & modern way. When I first saw the graphics for her latest sets, I knew her interpretation of these classic images would be a wonderful resource for many stampers. The first set I am introducing you to today showcases Alli's modern interpretation of a holiday turkey. This stylish version of the traditional Thanksgiving mascot is not only refreshing, it is also versatile! With a few different tail options, some fantastic sentiments and design elements, this is a must have set for anyone that loves Turkey Day! Gobble, Gobble will be available for purchase on August 15th. Gobble, Gobble contains a total of 11 stamps (1 turkey body, 2 turkey tails, 3 companion images, 1 sentiment border, 4 sentiments). A companion die for the turkey image in this set is also available for purchase separately (read more below). 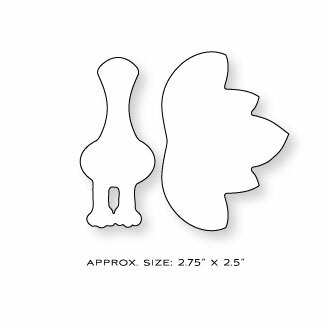 As a companion to Gobble, Gobble, there is a coordinating die that will cut out pieces for the body and tail of the turkey. Both shapes are integrated into a single die so it is a more economical purchase. The Gobble, Gobble Die will be available for purchase on August 15th. The Gobble, Gobble cDie coordinates with the turkey body and turkey images in the Gobble, Gobble stamp set. The second set I am introducing is the next in the Take Three series, Take Three: Fall. This specific set features wheat & pumpkin images, perfect for creating projects that signify the coming of autumn. Take Three: Fall will be available for purchase on August 15th. Take Three: Fall contains a total of 13 stamps (6 square images and 7 sentiments). The sentiments and images in all of the Take Three stamp sets can interchange between each other: Take Three: Spring, and Take Three: Summer. Now that we have all the basics out of the way, let's get onto some projects! This first project is very clean & simple and I love how it turned out. 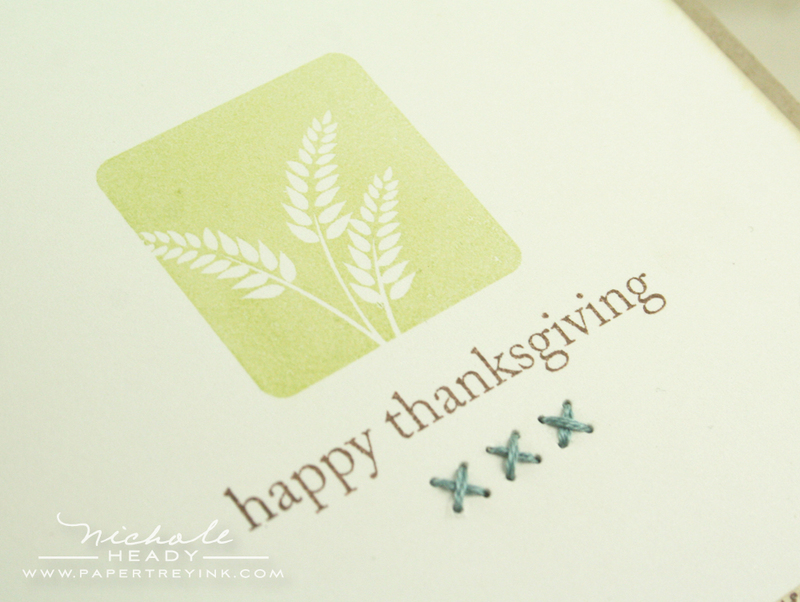 I stamped one of the wheat images from Take Three: Fall in Spring Moss followed by the "happy thanksgiving" sentiment from Gobble, Gobble in Dark Chocolate. I pierced a series of holes underneath the sentiment using a paper piercer then stitched three x's with embroidery floss. At the bottom of the card I added a strip of Vintage Cream cardstock that has been stamped with Text Style II in Dark Chocolate and heavily inked with the Tea Dye Duo. This text strip does a lot to balance out the overall project and keep it from being a little too plain. This next project is a bold color block design. I used the pumpkin images from Take Three: Fall in Summer Sunrise, Orange Zest & Terracotta Tile. After stamping them on Vintage Cream cardstock I punched them out with a 1-3/8" square punch and arranged them on a Terracotta Tile mat. I created a slim border with Vintage Cream cardstock, stamped with the word border from Gobble, Gobble. As a nice finishing detail I punched a 1/8" hole above and below the border and wound a snippet of Rustic Jute Button Twine through them. This fun project uses the turkey from Gobble, Gobble paired with the coordinating dies. I love how easy the dies make it to layer the different parts of the turkey. I stamped the tail with Black Noir ink and colored the background of each feather with various Copic markers. I used the Summer Sunrise, Terracotta Tile & Scarlet Jewel trios to create my color scheme. And how about the "gobble, gobble" sentiment? Love, LOVE, love the font Alli selected for this! I used the Woodgrain Impression Plate on the Scarlet Jewel background. I love how well this texture paired up with my images for this project! Recognize anything on this project? I used the same turkey tail from my previous project along with the coordinating die to create these fabulous accents for either side of this Mat Stack 4 layer. SO fun isn't it! I love getting versatility from my supplies like this! 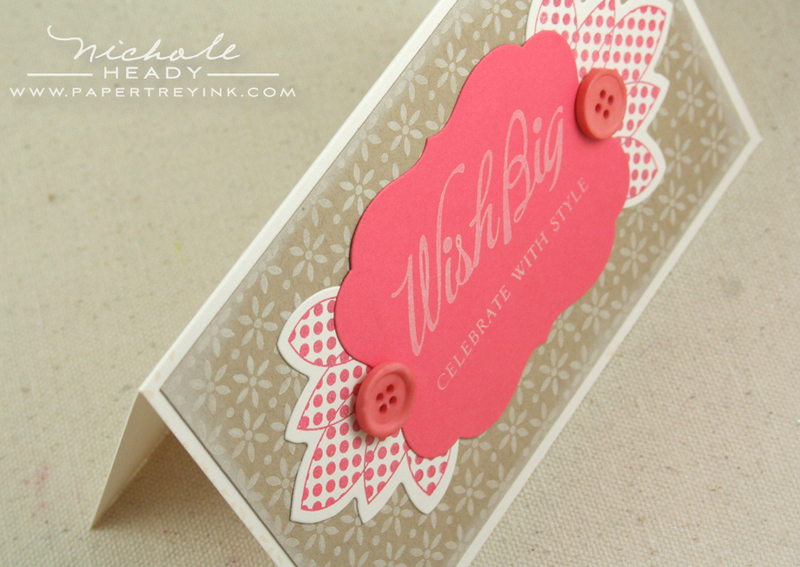 The "tail" accents are stamped with Berry Sorbet ink onto Vintage cream cardstock. 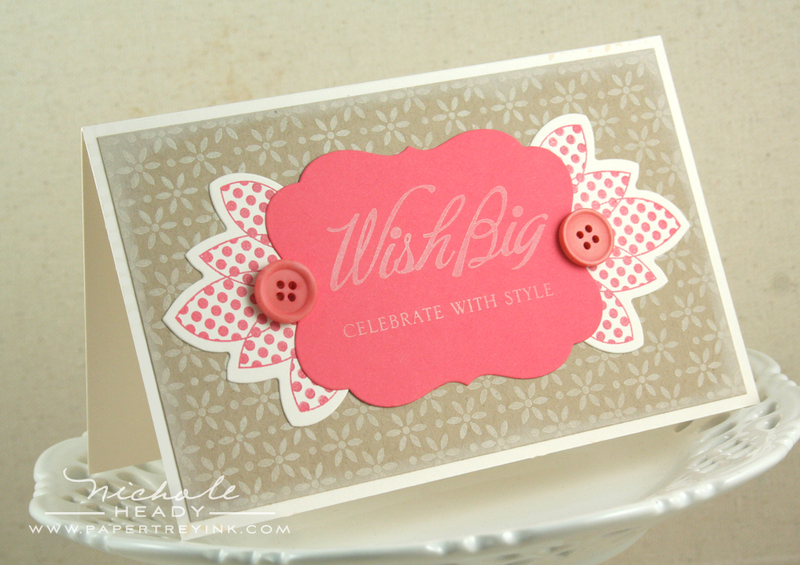 The Mat Stack 4 layer is stamped with sentiments from Big & Bold Wishes using Vintage Cream ink. Berry Sorbet buttons flank either side of the focal point. Background Basics: Tin Types is used in the background stamped with Vintage Cream ink. My mind has been spinning with other uses for these tail images. Large Photo corners perhaps? Flowers? The possibilities are certainly endless! When creating this project I made a really fun discovery that I am excited to share with you! The new Fillable Frames #7 die is the PERFECT coordinating product for the solid block images included in the Take Three collection! For this project, I die-cut the frame from the middle of a piece of Harvest Gold felt and trimmed the exterior with pinking shears. I stamped the wheat block from Take Three: Fall using Summer Sunrise ink folowed by this beautiful sentiment from Gobble, Gobble in Dark Chocolate. The layers of cardstock & felt were all stitched together using my sewing machine. The background was stamped with Background Basics: Tin Types using Vintage Cream ink. And here is a second project using Take Three: Fall with the Fillable Frames #7 die. The wheat image was stamped in Orange Zest at the bottom of the die cut frame. 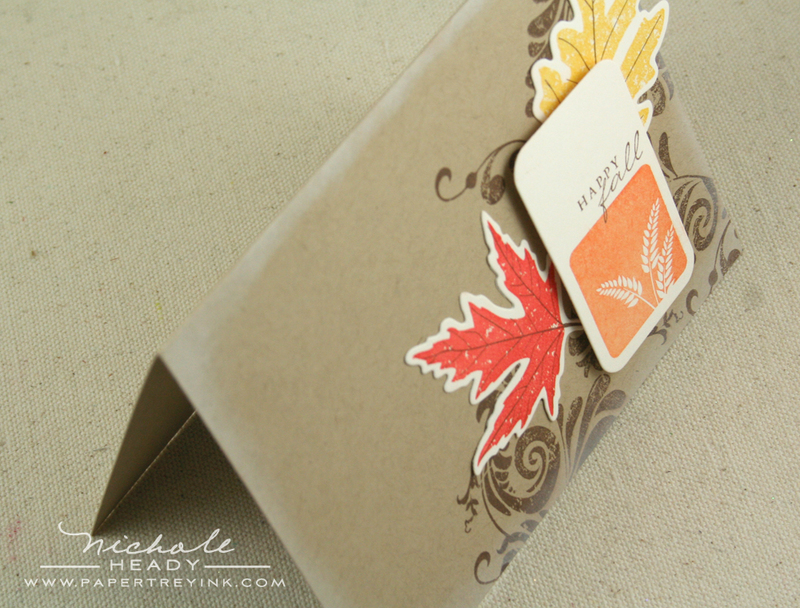 I then added the "Happy Fall" sentiment from 2009 Autumn Tags in Dark Chocolate. I love how this looks with the frame oriented vertically rather than horizontally. Underneath the focal point are two die-cut leaves from Leaf Prints. The larger leaf stamped in Summer Sunrise and the smaller in Terracotta Tile. Accents from Embellishments were added to the Kraft card base in Dark Chocolate ink before layering. I also swiped my Vintage Cream ink pad around the edges to help soften the project overall. Next is another turkey card. This one is quick & easy, making it a breeze to mass-produce. I inked the tail completely with Sumer Sunrise ink, then added Orange Zest ink about half-way down the tail feathers and then rolled the very tips in Terracotta Tile. I love the variegated look this left me with. Just the body was die cut and popped up from the tail for dimension. The sentiment is also from Gobble, Gobble. Just to help you think outside of the box with the turkey a bit more, I thought it would be fun to turn him into a peacock. I stamped the large fleur-de-lise from Embellishments in the center with Hawaiian Shores ink. I then added additional layers of the same image on either side of the center point using Simply Chartreuse ink. Two extra flourishes from the same set added in Hawaiian Shores ink help to add to the drama of this dramatic tail. The sentiment from Signature Greetings was stamped in black int the lower right-hand corner. I added a frame with my favorite black pens to help ground the peacock image. I hope you have thoroughly enjoyed all of the projects I had to share with you today. What are your initial thoughts of both of Alli's new sets? We would love to hear from you! You could have a chance at winning this amazing prize package. This prize package has a value of nearly $70, so you definitely won't want to miss out. This contest will end at 11:30 pm EST, tonight, Saturday, August 14th. Only one comment per person please. One randomly selected winner will be announced by midnight ESTon our August Release Winners page. Be sure to stop by Maile Belles' blog today to see what she created with both of these new sets! Alli Miles has even more inspiration to share using these sets as well. Heather Nichols is sharing a few more uses for Falling Leaves & Fillable Frames #7. Beth Silaika put together a new project using Been Boo'd. Tiffany Pastor is featuring another project using Embellishments as well as featuring a special prize you could have a chance at winning! FINISHED SIZE: 6.25" x 4"
that frame made out of felt is amazing….i also love the “peacock” you made by mixing stamp sets! Well worth the wait Nichole – more than worth the wait!! I am blown away by that peacock – he is just stunning!! Love every single project you’ve showcased, so creative. I really can’t wait to see Leaf Prints in all its glory too! Haha, yay its up, ive been waiting all day! What lovely samples, lovely sets! Love the peacock. What a great idea. I’m blown away with your ideas. I wish I had just a tiny piece of your creativity! This set was so worth the wait! I love the simplicity of the Thanksgiving set and can already see all of the possibilities! Your cards today were so creative and inspiring! 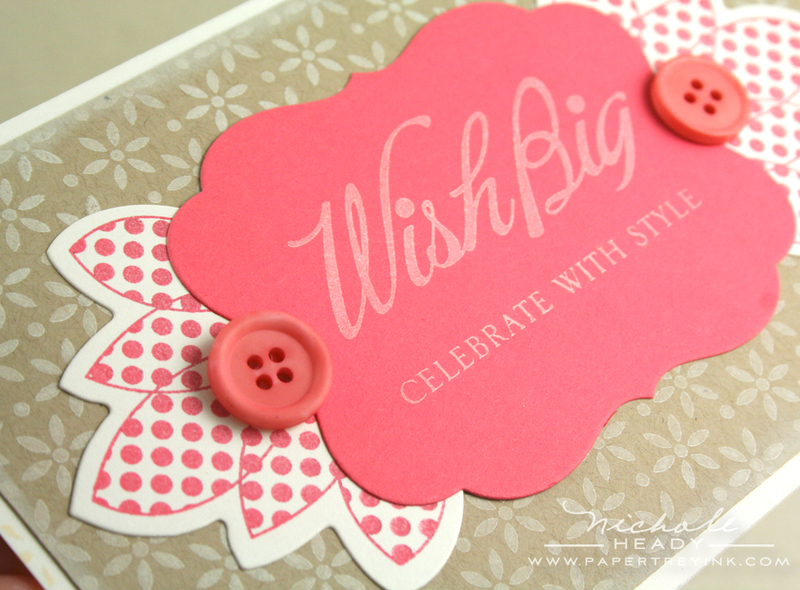 Love the way you used felt with the new fillable frame die! That turkey is all dressed up for Halloween…of course he would choose a peacock costume…SO FAB! Thanks for showcasing how versatile PTI sets are once again! I love both sets. Love the peacock and love the next take three set! Great job! I really love all the take three series. They make it so easy to create unique simple cards. I’ve had so much fun with the reverse image stamping. I look forward to the fall set. Loving both these sets! That turkey is adorable! All such cute sets! 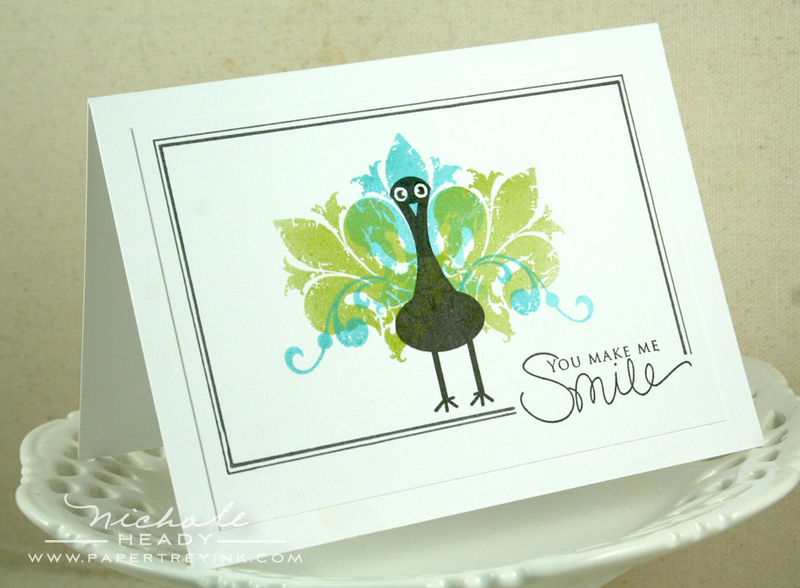 Love all the projects, but my faves are the Gobble Gobble card (love the color scheme) and You Make Me Smile peacock. Again, love the color scheme and the versatility of all the PTI sets. WOW…. where to start!? I am no longer on the fence about Gobble Gobble… it’s going in my cart! And using the tail with the new Mat Stack die? PURE BRILLIANCE!! I love the discovery about the FF die + Take 3 images too! Very cute – I especially like the Take Three pumpkins, and the sentiments are fantastic with these sets! The Turkey is the best I have ever seen – so fun! The sets are wonderful. The turkey is too cute! Two more great sets! I love Thanksgiving and I love to send Thanksgiving cards to special friends and family! The turkey is really cute and I loved how he was turned into a peacock! Two more great sets I can’t wait for tonight. Wow…these cards and so beautiful. What fabulous .. and cute…sets. I really love how you used FF#7 with the Take 3 stamps — LOVE how that looks! Both the felt frame and the vertical orientation are incredible. And making the turkey into a peacock is pure genius! I love Alli’s sets so much, I could gobble them up! How adorable. I love both sets. 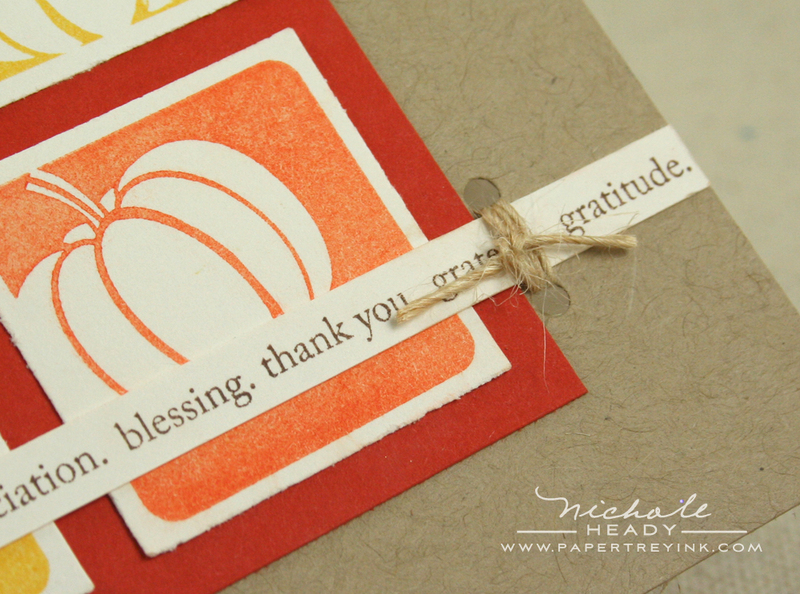 I really love the type and words on the pumpkin squares card – perfect! How do you keep coming up with more and more great sets? The simplicity of the wheat stamp just gets my inspirational juices flowing. Love the use of felt in your card. The turkey stamp reminds me of the turkeys we used to make in elementary art, cute, cute, cute. Your creativity amazes me…..turning the turkey into a peacock was brilliant! I love both of these sets!! Oh so lovely ! I love that wheat image especially – i had wheat in my wedding bouquet ! Love the peacock! You continue to amaze with the creative ideas. Also, there appears to be a typo in the prize package. Gobble Gobble stamps are listed twice. I assume that it should be dies and stamps. I’m keeping my fingers crossed that I win. Wow, all amazing projects! The peacock is SOOOO cute! once again, i need it all! Super fun stuff and as always the projects are beautiful. These cards are beautiful. I love the simple, adorable pumkins and those leaf images. I am completely in love with Take Three: Fall. I haven’t gotten any of them yet- this will be the first! Just blown away, what else is there to say besides will you come decorate my house? That peacock, oh my word. I love the Gobble Gobble set & when you turned him into a peacock-totally genius! And you’ve just earned another fan for the Take 3 sets-the wheat image is so great. Wonderful inspiration well worth waiting for! I can’t wait to see the last sets later today. I didn’t think I needed a turkey until now, but I can see super cute napkin rings and other table decorations that my daughter would love to help make. Beautiful images and the peacock is stunning, one of my favorites! awesome…I love the peacock, he is so cute. It’s so great how you can integrate so many different products/stamp sets into each project…the fillable frames continue to “wow” me with their versatility. Thanks for another chance to win. I love out of the box! The turkey / peacock is amazing!Never would have thought of that. Oh my, what an adorable set! I love your cards which range from elegant to whimiscal, you always show how versitlie the stamps are! The take three series are just so flexible — I love them! They make it so easy to create unique simple cards. I look forward to your next post today! Love that cute turkey…and to turn it into a peacock…brilliant! 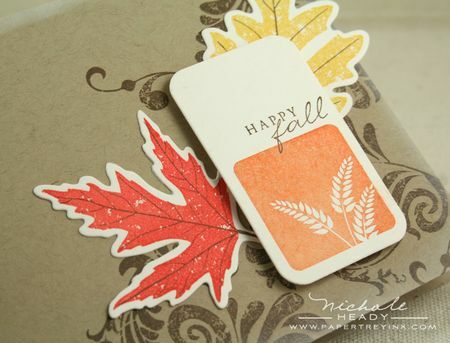 Love those leaves and the coordinating die too. Thanks for sharing your great cards Nichole! I can’t believe that we are talking about Thanksgiving already, but I LOVE, LOVE, LOVE the set. Gobble! Gobble! The “turkey” peacock is stunning – and the Fillable Frames/Take Three combo is so cute. Love it all!! Want it all!! You are a genius! I am floored by the peacock and your inspired use of the new die! Your cards are fantastic as always! I love the turkey and LOVE the leaves! I can’t wait to see the entire sets. that turkey is just so cute! love how you turned him into a peacock with just one simple change in stamp! the take three images are lovely! The peacock is gorgeous! What a great take on a traditional image! Love it! I love the turkey image, so cute!! What a wonderful Thanksgiving set…that turkey/peacock/all-around adorable bird is terrific. Looking forward to the fall for sure! Two more amazing sets. I love the clean and simple ideas. The peacock is amazing. Can’t wait for tonight to see it all! I love the peacock – such pretty colors. Looks like there is so much one can do with the turkey die. I love what you did with the Mat Stack 4 and turkey die. Great inspirations. I love these projects and I always love Alli’s stamp designs. This is going to be a very exciting release. Love the peacock! and the fillable frame is perfect for the take 3! What a great testament to the versatility of PTI dies!! I always know that I’m never limited by the fabulous dies/stamps that you provide us with each month. Wow! You’ve blown me away with all of the new choices. I love the adorable peacock and felt frame, as well as the simplistic, but creative, Take 3 images. Just love it all!! Another stellar round of samples for these two sets! They are both wonderful compliments to your exisisting line of stamps. Fall is my most favorite time of year and these stamps are a wonderful addition to celebrate that most special time of year. I love all of these fall themed sets! I don’t have any of the Take Three sets yet, but this one is calling my name. That pumpkin image is awesome! It’s all awesome! Thanks so much for hosting these giveaways! The Take Three sets are some of my favorites and can’t wait to see them each season. That turkey is darn cute too! Love the tips and tricks you treat us to with every set! The versatility is endless, making every PTI stamp set timeless and a treasure. Sets that I would never think would have more than one season of use become transformed into infinite possibilities. Thanks for all your hard work! I know how much time you put into each post. Another amazing set!!! I can’t believe how versatile this one is 🙂 I would have never thought to use the turkey feathers to go behind a die cut as a flourish!!! Another must-have! Very clever idea making a peacock! I love it! How do you do it? Every card you make is perfect, love these samples. The peacock is pure genius and I’m lovin’ what you’ve done with the take three. That turkey is just too cute and I love that there are separate dies. The turkey peacock is fabulous…I wonder if you could make him into a parrot? WOW!!! I LOVE LOVE LOVE this release!!! Fall/Thanksgiving is my favorite season as I lvoe the colors. AND PTI has truly fullfilled my stamping needs!!! Very, very cute! Love the turkey and his matching dies! Love these ideas! I send many Thanksgiving sets many Thanksgiving cards since most family and friends live so far away. Love the peacock idea! I really don’t know how you keep coming up with such unique ideas! Beautiful stuff! LOVE the turkey made with the embellishment set…the turkey die and stasmp are so adorable…oh I can’t wait for fall to arrive! Fun stuff! Beautiful, beautiful cards. Really worth waiting for. LOL. Such great projects! I love how so many different things work together and how you can use things like the turkey feathers to make embellishments. Loving both sets. Wheat is a great addition for fall cards. thanksgiving is my favorite holiday. the family gets together w/ out all of the Christmas stress. i always send cards for thanksgiving so these sets are perfect for me and the projects are so creative. thanks. That turkey is so stinkin’ cute! 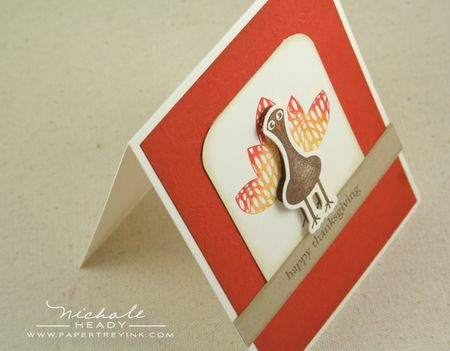 I love all the fall stamps and sentiments but the turkey grabbed (or should I say gobbled up?) my heart! What cute cards!!! And turning that adorable little turkey into a peacock was SO creative!! LOVE the matching dies too!!! I am in love with the little turkey from this set. He is too adorable. So glad tonight is release night! Your creativity is endless Nichole! These cards are beautiful and I love the new sets! Ack…All of them. Thanks for all your hard work and all the time you spend creating such wonderful and diverse projects for us. Everything in this release looks great. Your cards are so cute! I love everything, but I think the turkey and die has to be my favorite, he is just so adorable. Amazing inspiration! Cute cards! The peacock card is so unique. I love it. Peacook is adorable…all the images are so adorable! I, too, love making “discoveries” like the way the Take Three images harmonize with the Fillable Frames die! The clean, modern lines, with just a bit of softness from the rounded corners… I just love this combo. All of today’s projects are wonderful, but if I had to pick favorites, the ones with Fillable Frames are the top! Great examples! I love how you turned the turkey into a peacock. Only you Nichole would be creative enough to think of that. Love your peacock card. All of the projects are fabulous! I so admire how you can take a simple set of stamps and dies and use them to make extraordinary cards! Beautiful and so inspiring. Cute sets! Take Three: Fall seems versatile. But that great little turkey in Gobble Gobble is awesome! I especially like the peacock treatment . . . so beautiful. Thank you! The turkey is adorable and the way you turned him into a peacock is fantastic!! Today’s projects are unbeilevable!! Your samples are worth the wait! I love that turkey and you peacock is just awesome! Your peacock is adorable Nichol! So clever! Like you leaf card too! Embellishments is defintely on my order list. Can’t wait to see more of the leaves! Terrific projects! I love the two new stamp sets. Hope I win! Lovely projects, but the peacock must be my personal favorite! He is so full of personality! Both these sets are great! Love that turkey, he’s adorable! Oh my gosh! You never cease to amaze me! These projects are wonderful! I am so excited about your discovery that FF#7 works so well with the Take Three images – how convenient! Your peacock is amazing too – I just love him! As soon as I saw that die I knew it could be used for more than a turkey tail! You didn’t disappoint either! Nice samples for everything…I like the peacock! Once again, great sets. I love that the turkey stamps have the abilty to be used for non-Thanksgiving applications. I love the Take Three series, and have been anxiously awaiting the Fall set; I really like the wheat image, and can see using it for so many projects. Your samples are so inspiring…love the frame made of felt; I really have to try that! LOVE the versatility of those turkey feathers!! And you can even make a peacock … GET OUTTA TOWN!! These new sets are DARLING!! Gorgeous cards! I thought I had no need of the turkey, but now see that I do. What a bunch of amazing creative projects! Love the felt frame! Can’t wait for the release!!! what a fun, fun set! that peacock is PRECIOUS!!!!! Too cute!! Gotta’ love that turkey and the coordinating dies! The peacock is beautiful! And it’s great to know that the FF sets fit the #7 die. I especially loved the vertical orentation you did. I love what you did with the gobble, gobble set – your designs always make me think out of the box. The Take Three set with FF#7 is just awesome though! Love it! I have had the take three sets on my wishlist for awhile now, This just may have pushed me over =) This post was definitely worth the wait! Such great fall images and a cute little turkey. Lots of options here for more great projects. Wow….a peacock?!? love all the projects today. Can’t wait until tonight. These are all just so fantastic! Tday is my fav! While I have no use for turkey images here, I’m totally in love with the Take Three series, and this latest addition is no exception. Fillable Frame #7 is now also firmly on my wishlist. OMG, that little turkey is so cute! And I just love the peacock, very imaginative! I am so looking forward to the release, I can’t wait for tonight! I’m a sucker for a cute turkey! LOVE this! Wonderful introduction! The projects are fantastic and very inspiring! Mr. Gobble is calling my name. And there is a matching die…. sold! Love the matching sets and dies so darn much I can hardly stand it! Your peacock masterpiece is brilliant and the blue and green are perfect together! I am so excited for the 15th to be here!!!! That turkey is too cute. Having the die makes him even better. Very beautiful sets, love the die also. Can’t wait to see the rest of the images! That turkey is such a hoot I just love him. There are so many great sets this release how does one decide. Wow, what great sample cards!! Love the peacock…that’s why we love Nichole…her creativity is amazing! And the felt card was beautiful. Such a simple idea with a lot of punch. Can’t wait for tonight! Love the turkey image! Both sets are awesome! Love how everything is versatile and it all goes together so well. I am in love with all the dies especially! I love Thanksgiving!!! It is one of my favorites!!! After seeing your cards, I see such versatility in the stamp sets. Wow, I love the fillable frames die with the Take Three Series. Awesome projects. Thanks so much for all the inspiration, Nichole. I LOVE the fall and all the holidays….and all the stamp sets in the release are wonderful….especially the turkey set and your peacock card is adorable. I think I am going to have a very big order this month! What great new sets! Makes me look forward to fall even more! I love Alli’s graphic style as well. One of the things that is great about Alli’s Take Three series is that I can look back and use any of the count down sketches for previous Take Three’s for this new set, just change up some color schemes. And I am blown away by the peacock! I’m loving the whole fall release, can’t wait to order. This was my favorite post of this release! Your creativity is SO amazing. Love how your use simple images and turn them into works of art! GREAT samples and the peacock is SO ADORABLE! Love the peacock and all of the other samples. It’s a great release this month for sure :). Lovin’ this! I’ve been looking for thanksgiving themed things for a while now. Thank you PTI for thinking this one up! I never thought I NEEDED a Thanksgiving set until I saw this!!! Now I NEED a turkey set!!! Love the way you created the peacock, the way the turkey feathers turned into an design element, and that fabulous felt frame! Great projects. I especially love the peacock! What a cute turkey! And a coordinating die — oh my! This will be so much fun! The peacock makes me laugh! LOL!!! Great cards and lovely ideas! Fall is my very favorite season, and so I would love to get my hands on everything you’ve shown! Thanks for all the wonderful ideas! I woke up early this morning (my ONLY morning to sleep in) hoping this would be up and was so disappointed when it wasn’t, but it was worth the wait! Love them all. Especially how you used the feather die on the Wish Big card and then turning the turkey from Gobble, Gobble into a peacock, genius!! So creative. I’m constantly amazed at all of the designs from everyone! Ya’ll are just incredible. Can’t wait for this afternoon for the next post!! I love how you can take a set that looks so straight forward and make it into more. Like how you used the feathers to fan out from your Wish Big sentiment as a design element and how you made the turkey body into a peacock. So amazing. Give us so many ideas for other uses for these stamp sets. These new fall sets are TERRIFIC!! With all this scorching weather we have been having, it is refreshing to think of FALL! I have been a fan of Allie’s two previous “TAKE THREE” sets and this one will be no exception. Thanks for all your inspiring examples. Hope I can stay awake tonight for the release! I like how the turkey feather were used with the new mat die. Very clever! I love Alli’s new sets! But OMG, that peacock is so cute!!! I love the Gobble Gobble stamp set! The turkey is adorable & I love the matching die. to come to my house. What a multi-tasker die cut…not to mention the turkey to peacock transformation…I want! I want! I want! I am in love with your peacock card! I always look forward to your releases because you always turn the expected into the unexpected – so creative. It always makes me purchase and use a stamp set I never would have considered before seeing your projects! Amazingly more versatile than at first appears! I’m really getting into the Thanksgiving spirit! Thanksgiving, my favorite holiday! I can imagine some very cute and elegant placecards made with these and I would love to win!! I love Thanksgiving and you have answered my desire for a turkey. I can’t wait to use this set, not to mention turning that cute little guy into a peacock. This month’s releases are great. I will be ordering at midnight. Love the Take Three sets and the turkey is adorable!!! Loving everything in this release! I love how you used the feathers die to make an interesting flouish! These sets are so cute would make a great birthday card for my son who sometimes has a thanksgiving birthday! These stamp sets and coordinating projects are amazing!!! The projects are totally inspirational and gorgeous. I just love the Turkey and the Die. I can see the cutest place cards for Thanksgiving dinner with these! The turkey is adorable. Love both of these sets! that turkey is so cute! love your projects! Love the peacock – it always amazes me how versatile the sets are. Using the feathers with the mat was gorgeous to. Nichole, you really made me look at this little chap in a new light! The peacock version is especially darling! Alli’s take three sets are so striking and sophisticated! I absolutely LOVE the embellishments and leaves you added to your “Take Three” card – it all adds up to *stunning*! I love the turkey set and how you turned it into a peacock. So much Thanksgiving yumminess..thanks for the opportunity to win! Fall is my favorite season and I love these cards you’ve made. The images are fabulous and you’ve created such a diversity of projects with them. Thanks for all the inspiration! The frame cut out of felt – pure inspiration! I have the Take 3 Summer & love it so I imagine the Fall set will be just as incredible. I’d love to gobble this stuff up! Very cool. Turkey/Peacock – ingenious!!! And a die as well!!! And another Take Three makes me very happy – I love Fall!!! very cute! Love the peacock! Peacock??? I just thought it was the most amazing, goofy, she-turkey, who was kinda’ surprised that she had turned into being the belle of the ball…… oops, I mean head of the Thanksgiving Turkey Parade!!! LOVE her! And the felt frame was perfecto too. Forgot to tell you yesterday that my boys (grandsons) will be awed by the spiders crawling out of the jar! Great stuff! LOVE the peacock, as we have a nearby nursery that also features peacocks among it’s many birds — so fun to enjoy them as we shop! I just love all the amazing possibilities of this simple, sweet set! Wow, what an amazing post! I am blown away by all the creativity today, for sure!! Turning the turkey into a peacock, just made me chuckle!! Fantastic, as always! I love the graphic nature of the take three series – the wheat and pumpkin are perfect! The turkey in gobble gobble reminds me of kids artwork in preschool – this image would be perfect on scrapbook pages, Thanksgiving place cards and of course fall cards. The peacock card blew me away – awesome! I’m loving how Fillable Frames #7 die is a perfect fit for Alli’s Take Three sets…they’re one of my favorite lines. Beautiful creations yet again this month from yourself and your talented team of designers. The best in the biz by far!!! Take Three: Fall is wonderful! Love those pumpkins! And that turkey is awesome!! PTI never ceases to amaze me! Love the turkey-peacock combination! Great projects! There’s a die for the turkey?! Oh my goodness. Just beautiful! I am so excited for tonight!! So great how that we can use a seasonal set for everyday. Love all the great ideas. Can’t wait to load up my shopping cart! How adorable is that little turkey or peacock?! Just darling! I love how you used his tail as an embellishment with the Mat Stack 4 – just beautiful! That turkey is just too cute. Love it!!! so cool, love the projects. I really like the Take Three series because I’m always drawn to graphic and sylized images. It makes such elegant cards! I love my Take Three Summer and want to collect the whole set so Autumn is a must! Nichole its the little touches you create that makes my so admire your creativeness – those three little cross stitches are JUST PERFECT! The peacock is adorable! I really like all the Take 3 sets, looking forward to the winter one. Oh My Gosh! yOur samples are stunning! my absolute favorite is the turkey with the flourishes as a tail! That was genius! I also like how you used the die and tail feathers in a different way behind the Mat stack die. Very cool. Super cute and I must say the name of this set is just as cute too. That turkey is just so cute in the Gobble Gobble set. 🙂 I love how you show us the versatility of your stamp sets and make us think outside of the box when it comes to the ways to use them. One more day until the release! Yippee! Peacock’s got me. Its our national bird. And I love how you’ve used the fleur-de-lise for feathers. Love it. The turkey is so cute and I love the way he was used with ribbons!I don’t have a Thanksgiving set, so this will be great to own and I can surely find some turkey use all year round. How stinkn’ fun….Love your examples…and can’t wait! Today’s peeks are adorable! My favourite is your card with the Harvest Gold felt frame and that wonderful Emerson quote! Love the turkey set, and the peacock card, also thinking there might be a stamp to make an ostrich tail, too. Very cute!! Love the verstility of these sets like the turkey tail on the Wish Big card and turning the turkey into a peacock. I am so excited about the new thanksgiving things. They are not easy to find. So cute!!!! I LOVE FalL! So excited for the cooler days. The cards you created are beautiful! I also love the peacock! It’s always nice to see more uses for the same set. Thanks. Wow!! so many new ideas and i love the felt frame you have created. I think that my favorite card was the peacock. I just love how you used the flourishes to make the tail and the colors are perfect! I thought I could pass on the Gobble stamp set (did not want to hand cut the turkey) until I saw the the die that accompanies the set. 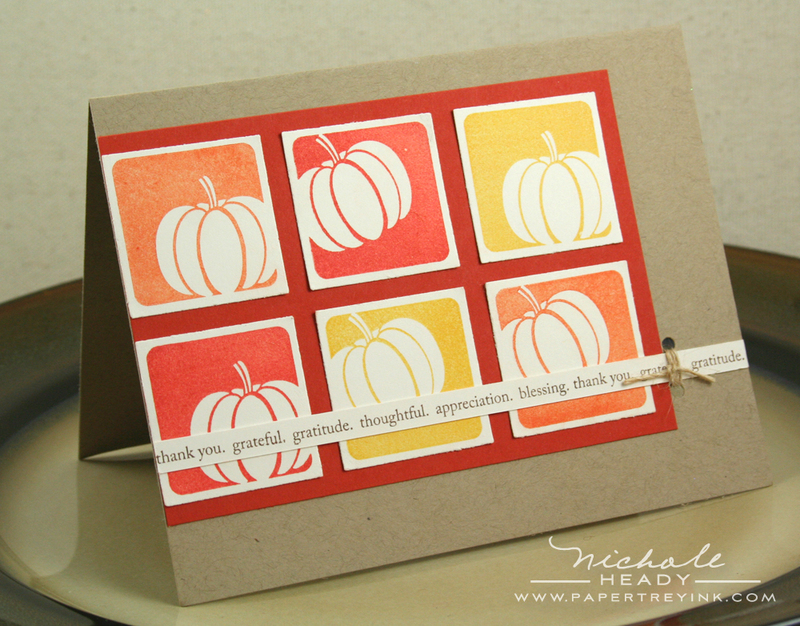 This is a wonderful new set and fills a hole in my stamping collection–fall/Thanksgiving. I love the simplicity of the images and the projects you created are fabulous. This turkey is just adorable and your projects made with it are too! My favorite aspect of Alli’s sets this month is the sentiment border. It can be used in so many ways and the words are perfect. They are all the ones that I would use when telling you how appreciative I am of your stamping inspiration. Your creations are phenomenal. That little guy is so stinkin’ cute. I love him as a peacock and I love the sample with the felt window. How beautiful. I can’t wait till tonight. The rock-n-roll turkey and the peacock are adorable. The felt frame with the negative frame cut is definitely inpired. 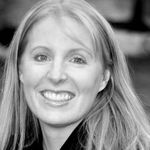 Such great ideas — this is why I love reading your blog this time of the month!!! I am amazing and impressed with what you can do with turkey tail feathers! Fantastic projects! Love the Take Three sets! And I love quotations by Emerson! I love each and every one of these projects! So many great ideas and such versatile images. Love the sentiments I’ve seen as well. Can’t wait until midnight! What fun!! I cannot wait to pull out all those fall colors!! I LOVE the peacock!! How cute and creative!! These sets look like so much fun!! Great job with your samples!! Love the peacock! I was thinking I didn’t have to have the embellish set until you pulled out that fleur dis lys! Now that’s a must have for me! Another day filled with inspiration! I especially love when you share your “outside the box thinking”… that peacock is too darn cute. Thanksgiving is my favorite holiday of the year, so this is already giving me the warm fuzzies. Beautiful! 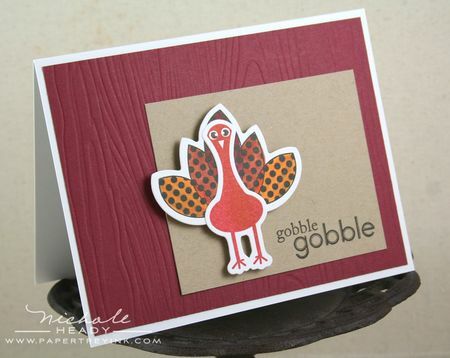 I love all the variations that can be made with the Gobble Gobble set and die! How fun! This whole release has just been fun, fun fun!! I can’t wait for fall to get here. I can’t wait to get my hand on this one!!! The idea to turn it into a peacock is awesome!! and a die to go with? genius! these sets are just too cute for words. all of the releases this month are amazing and fall is my most favorite time of year. What a cute little peacock! Love how you are always thinkin’ outside the box! every month you ladies outdo yourselves! i love these soo much and would be thrilled to win them. thanks for all your efforts. you are such an inspiration to us! Great cards! Love that little turkey – so cute! Amazing creations! This release is so exciting! I especially like the turkey turned peacock!!! very clever…..
Too, too cute. Love all these ideas! I would never have thought to turn the turkey into the peacock! Your ideas and inspiration are incredible! Love how you continue to build on previously released sets. Very cute! Love the Felt Card! Yay! There are simply not enough Thanksgiving sets. This is perfect! Nicole, your cards are fantastic as always. I love the versatility of Gobble Gobble. That peacock is great. That peacock was inspired! Cute projects, all of the, I like the Wish Big card as well. This is so cool the peacock can be decorated in so many ways just by it’s feathers! Yet another amazing set of stamps! Great work! Oh my goodness! Wow! LOVE, LOVE, LOVE the turkey and peacock! I really do need to get some fall stamps too as it’s my favourite season. Fabulous projects! What an adorable turkey, I think I just may NEED him!!! Stunning, stunning, stunning! In keeping with today’s theme, I should say that you put so much work into release week… and we are so grateful! This is my favorite “Take three” set for sure!! And I love that turkey, he is so cute! Yes! Thank you for putting out Gobble Gobble! I have been waiting for a fun turkey design and this is it! I love all the different ways you can use the turkey (and die)! It is so cute. I can’t wait until the release!! Thanksgiving for us is all about eating that BIG festive dinner. I have never been one to send Thanksgiving cards, however now that I have family members who will not be home for the holidays, I will definitely want to make some cards to send to them. All the cards are so much inspirations, thank you. your projects are making me giddy! My inital reaction is how versitile. I just love your peacock Nichole, that is totally thinking outside the box. Love the look of the turkey when he’s cut out with the die. You have a flare and what wonderful sets. Giving a simple look and then giving us this cute peacock. Love the samples. Cute, cute turkey! I love the bright fun look of this set. What a cute turkey! Love how you’ve transformed it into a peacock too – how versatile. Alli’s sets are all so wonderful – can’t wait for the final winter installment! Love the leaves – a touch of fall would feel so good right about now! The peacock is glorious. There’s always something inspiring an creative from PTI. OMG…..I LOVE the peacock..who would have thought…oh yeah Nicole would of course. Once again you blow me away with your talent. Tonight can’t get here fast enough, I have my list here and I’m ready to shop! Your peacock is AMAZING! How do you come up with these stunning ideas?!!! Can’t wait for the release tonight!!! These cards are as amazing as the rest of your projects this week!!! Love the turkey that you morphed into a peacock! So creative [as usual]. Thanks for such great inspiration Nichole! My birthday is always around Thanksgiving and always celebrated with the family together. So, it’s about time I get a cutesy turkey to celebrate with me! Thanks Nichole! Love that adorable turkey and how you turned it into a peacock! Can’t wait to mass produce Thanksgiving cards with the cute stamps and die. The projects were so cute and had clean lines. Gorgeous projects!! Love how versatile the new sets & dies are! I’ve always loved the versatility you’ve shown with your stamp sets, and these are no exception! The different ways you’ve used the turkey tail and body turned this set from something I thought I’d never use to something that is on my list! Your peacock may have just sealed the deal for me! What an genius idea!!! What a lovely set! It was soooo worth the wait! Your cards are so gorgeous. Thank you for another wonderful month. I really love the Take Three set and the cards you made with it. They are so colorful. I also love Gobble Gobble. That turkey is so cute and the peacock you made with the Embellishment set is so cute. And the sentiments that are coming with the Gobble Gobble set are wonderful. The turkey is absolutely adorable! I love the outside the box idea with the peacock. The use of the InBloom impression plate as a background for the turkey card was delish! These are both great fall sets and I love that the turkey has dies available. Such an easy way to may the set much more versatile. Keep up the great work! I love the Gobble, Gobble set!! How unique and fun!! The other sets are classic good design (to use forever). I have fallen in love with the turkey/peacock…..gotta have it!! Thanks!!! great sets. the cards are all so cute. Another home run, Nichole! And that PEACOCK! Totally amazing. Thank you for another exciting Papertrey release. I’m not a huge fan of fall (it means a dreary winter is right around the corner in MI), but you have made me look forward to it with those great cards! I can almost smell my Thanksgiving dinner cooking! Oh the peacock is wonderful! Love the Happy Fall card…and the fact that the Take Three series will work so well with the new Fillable Frames die is fantastic! These posts are so worth the wait! I gain new inspiration every time. Love what you did with the felt frame and I also really liked the peacock! Such great ideas. I cannot wait to see all the sets tonight. Wow love the last card he has such a beautiful tail and the colors just great. Beautiful! I love how you made the turkey into a peacock! Definately thinking outside the box! I love the cute little turkey! Can’t wait to get my hands on it. Absolutely adorable set. I love it! Alli always knocks it out of the park – and these sets are no exception. The coordinating dies for Gobble Gobble are fantastic – – what a niche you have filled! I LOVE these sets Nichole!! Fall is my FAVORITE season, and with these sets and that adorable turkey die, I could make the fanciest autumn cards ever! I am so excited for this release!! OMG!!! I really have no words. I am actually speechless, the ideas you come up with are amazing and I am always in awwwww. Hope to play with these sets and dies VERY soon!!! All your creations are beautiful, but my favorite is the peacock card. The colors are great but the versatility in stamp use is just amazing. I wasn’t really drawn towards the Gobble Gobble set, but after seeing what you and Maile have done with it has changed my mind. What incredibly creative ways to use this new set! Another great one! You are so amazing! I love the frame made out of felt and this will definitely be one of the first things I do when I get my order next week! Love the turkey die! It is so cute. All great ideas. I loved that cute turkey from the first moment I saw him….and to turn him into a peacock is just GENIUS!!! My son is getting married in Feb, and they are using peacock feathers and those colors throughout as a theme…what a cute shower invite that peacock would make. THANKS for your wonderful vision!!! That little turkey is simply adorable! Super cute little turkey man! My hubby’s favorite holiday is Thanksgiving. Can’t wait to see the sentiments in the set! I how cute these stamp sets are! Perfect for a sophisticated card but yet perfect for a fun and playful card!! Beautiful samples, beautiful colors. WoW I can wait to get them! That peacock is just fabulous! I absolutely love how you give us several different looks so we can see the versatility. Cute and absolutely perfect for this time of year. Take Three is just as amazing as it’s sisters. And after seeing what you did with Gobble, Gobble I can see a lot of fun with that set. I just can’t imagine where you gals come up with all these great ideas for all these awesome stamp sets and dies. Keep ’em coming. Oh my goodness! I LOVE this little turkey! I think he’s cute enough that the kids will love it, but still simple and elegant enough that he will make great Thanksgiving cards! So cute! Another completely amazing count down is coming to an end. In a way I’m a little sad. I love my morning time with PTI. On other hand it is good because tonight I can get my wish list ordered and be waiting the arrival of my new goodies. You ladies never cease to amaze and inspire me. Thank you Thank you Thank you! Wonderful! The turkey is so cute. I can’t wait to add the latest Take 3 to my collection. And will get the frame die to go along with it. How wonderful that Take Three coordinates with the newest Fillable Frames! I loved how that looked! oh my, the little turkey face is so cute! and i love the versatility you demonstrated in the fleur-de-lise stamp as the tail! Love the peacock. So creative! Is it midnight yet? Once again PTI has done it, another amazing release! The talent on the PTI team is incredible and so inspiring. I love how the sets and dies are so versatile and can be used with so many other sets – both old and new. I love how the feathers can be used for so many other things too. Thanks PTI for giving us the most bang for our buck! PTI rocks!!! As with all of Alli’s sets…I just LOVE them! Those Take Three sets are must haves in my collection! Wow, awesome creations! YOU & your DT are the reason behind PTI’s success for sure. I may see a stamp set, but what always sells me is seeing what can be done with it. It blows my mind how creative you all are – how you find so many different ways to utilize stamps. Thank you for the inspiration! that turkey just makes me happy! Oh my, what a wonderful set. Your turkey shown in so many ways is just so darn cute. Love the background you used to make the peacock–very cool looking. Thanks for the chance to win. Love the turkey!! This set reminds me of my mom, who is always so great about making (and then actually sending out!) Thanksgiving cards! I would love to win this set for HER! I love the Peacock you made and another great projects, thanks for the inspiration! Nichole—your samples are amazing as usual! I love the little cross stitching on your first card. These sets are adorable and so perfect for this upcoming season! Just beautiful! I have to say that I love how you turned that Turkey into a Peacock! Great thinking. Thanks again for a chance to win some amazing items! Crossing those fingers very tightly! That’s what I love about PTI …versatility, -a turkey and a peacock from one die! Just love it! Take Three: Fall is so simple and lovely, and the turkey is super cute! I especially love how you made it into a peacock! So clever and beautiful! I love how versatile that little turkey and the feathers are. The peacock is beautiful. My daughter loves peacocks and would get a kick out of peacock cards made just for her. I think the fall Take Three is my favorite yet. The pumpkins are so cute! This is a really cute turkey …. love the fact that you turned him into a peacock! Beautiful! Also love the felt frame … so pretty! PTI continues to amaze me with the creative designs and inspirational projects. These are fabulous!!! I love that you can turn the turkey into a peacock, and that card using Embellishments is amazing!!! Another amazing release!! Fabulous cards. I just love how the fillable frames die fits the take three sets perfectly. I cant wait to get my hands on it. Wow, wow, wow! Your projects are amazing. I just love that little turkey – he is SO cute! And as a peacock…I’m without words. And I love the Take Three images as well. Beautiful felt frame! I also love the peacock and the easy turkey card! Great release this month! Both Alli’s sets are FABULOUS!! I love everything that has been shared!!! love, love the turkey…way too cute. Very cute cards. Love the felt frame on the one card. OK, love that felt frame, and LOVE the way you altered the turkey in so many ways!!! Very fun! I can’t wait to get the Gobble Gobble set and coordinating die! I love turkeys and this set looks so fun! Awesome cards – thanks again!!!! What great projects – all of them! I love the simplicity of the block images, and that little turkey dude is just the cutest, especially all dressed up as a peacock! I’d love to win this package – hope Random picks me! Love the leaves and the pumpkins especially- very cool! 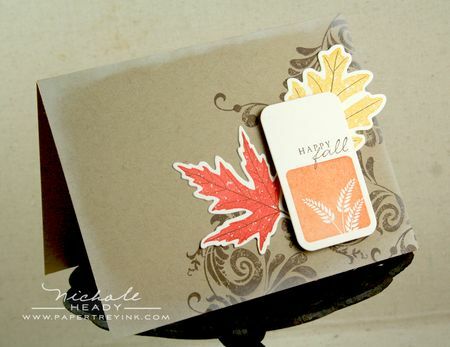 all the cards are so great but especially like the pumpkin color block and the fall leaf designs – classy and elegant. Love the peacock! & the pumpkin stamp is too cute! that turkey is just too cute! I’m in the mood for some fall colors and fall cards now! Autumn is my favorite time of year. Not only am I in my craft room more times than not, I love the colours and the coolness in the air when I am outdoors gathering inspiration on walks and taking photographs. geat projects as usual ladies….now how do I choose?! We celebrate Thanksgiving in October, before Halloween, in Canada so it’s nice to have such inspiration in time to get me in the mood for all things Fall. What fabulous projects!!! I love the leaves card! Clean and simple images for beautiful cards! I really like the sets from PTI for autumn this year! Fabulous creations!! I love the turkey!! That peacock is oh so cute!! What a great way to extend a stamp set. Thanks for the inspiration!! Papertrey Ink has done it again. What a fantastic release. It makes me not dread the end of summer as much because I am so excited about fall crafting! Gosh, I need to learn how to sew! All of the stitching details in the sneak peek projects have all been great! So excited to start snapping some of these items up, woo hoo! 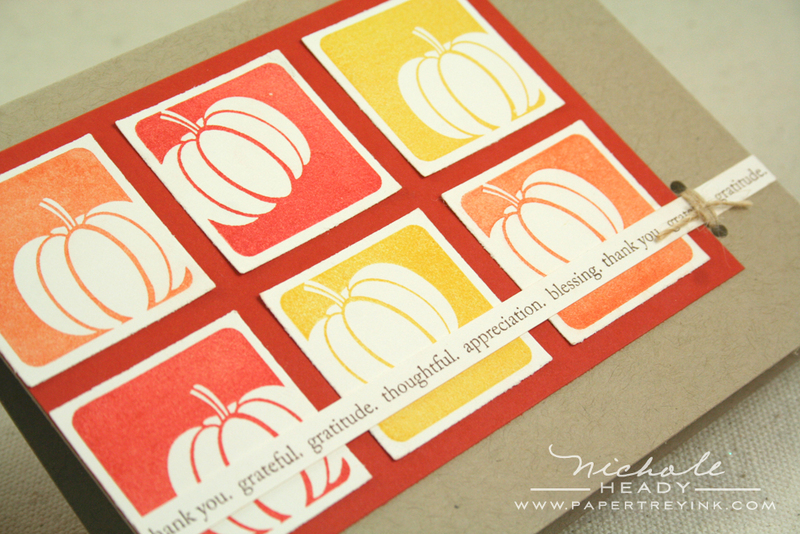 I like fall themes because I actually have time to sit down and stamp! The sets you’ve featured can be used for cards at other times of the year too and that makes them just that more desirable. Get out! How cute is that turkey! Adorable! I love the new take three images. I have two other take 3 set and this one will have to join my stash! These images are great. Perfect images for the perfect season. 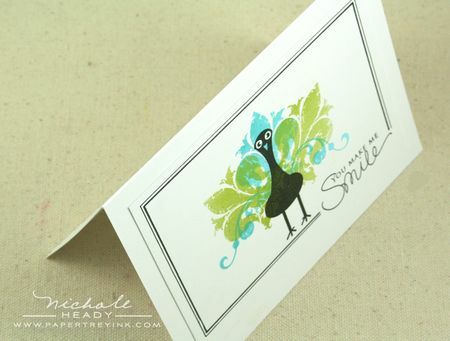 The turkey die is super cute and I can’t wait to have one of my own. This is a great fall set, and I love the way she did the color block card with the pumpkins. 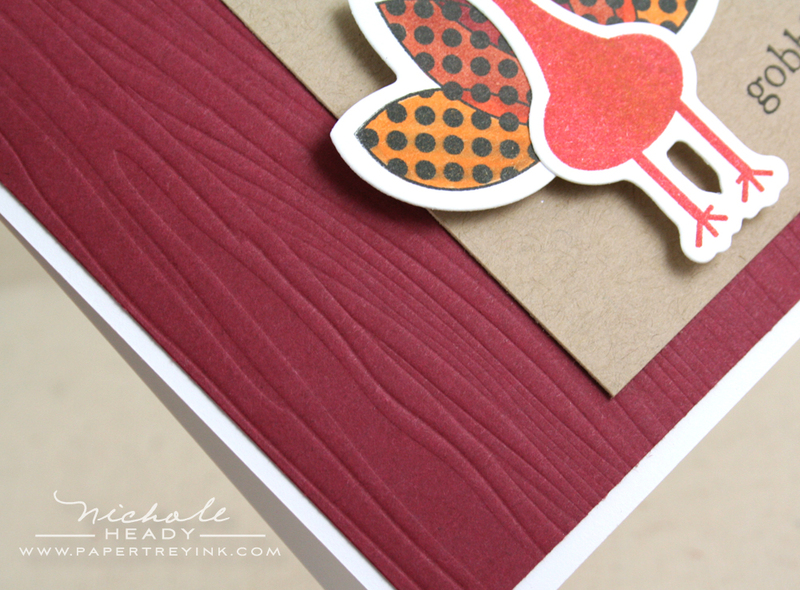 The turkey die would be a lot of fun… it’s simple, yet recognizable. I love the different ways you showcased the Take Three images inside Fillable Frames # 7. You just sold me on both. I’m crazy for the Turkey! Love the die! Love the projects. I esp love the felt framed card! I love how simple yet elegant Alli’s designs are. The turkey and dies make me want to start Thanksgiving table decorations NOW!! Love it when you stamp outside the box! That peacock is too cute and sold me on this set. Wow! I love both of these sets! Your cards are awesome! Love the peacock and the felt cut with the fillable frames die—they are all going on my wish list!!! Ali’s sets are so cute! The Take Three sets make such quick and pretty cards. Love your peacock too. omgosh! that little turkey is adorable! and with matching dies?! LOVE IT! all your cards are just wonderful. i like the last one…how you turned him into a peacock. clever! love the newest addition in the take three series. OMG, I absolutely love the turkey and the coordinating die-cut. That makes it so easy to create plenty of cards and or/place holders on the Thanksgiving dining table. Such wonderful projects!! I love how you showed the versatility of the die. The peacock is so creative, fantastic!! Thanks for the change to win some of your amazing products! Who would have thought that this set could be so versatile. Wow! Can you show us how to get such a fantastic frame with pens at some point please Nichole? Well done on such a great job. What I love about PTI is that even though this is a “Thanksgiving” set with Alli’s cute little Turkey, you show us how to think outside the box and that the sets can be used for any occasions, voila a peacock. WOW this little guy is sooo cute!! Thanks for the inspiration!!! I love the felt frame and the peacock! They both were so original and highlighted your creativity. I love your cute peacock design, i mean TURKEY! The versatility of the turkey is surprising. I love all of the projects today and I love how products can be used in more ways than you might expect. Now I want ALL the Take 3 stamp sets and the fillable frame was a given!! And that peacock (a.k.a. turkey in his halloween costume) is beautiful! Oh no! A turkey with die, and can be used like a peacock? So cute!!!! This will also be in my cart this month! As usual, I love all your projects! My favorite is the peacock! Thank you for the chance to win! That turkey is adorable! I love that there are two dies for it so you can do different colors of feathers. Love the peacock! All fantastic projects! You would think by now I’d learn!!! Just when I think I can’t possibly be amazed any further, you do it!!!! LOVING the turkey set and the versatility you shared – wowzers! My budget is in trouble now… Wahhhhhh I want it ALL!!!!! GREAT sets that truly get me in the mood for fall! Love the turkey and the ideas for Alli’s set are wonderful and inspiring! Adore the peacock. You are always coming up with different ways to use the stamp sets. I am so amazed. That turkey is adorable and love the die cuts to go with it!! Love the Take 3 images also! thats great how you turned the turkey into the peacock…you always present things in so many cool ways! You’ve done it again, girls!!! Love, love what you do each month. Love the versatility of how you showcased this set. Very cute for Thanksgiving, plus a lot more. Thanks for sharing and the chance to win! What a cute turkey. Love that you could create a peacock. Very nice release. Love those blocks in Take Three, they are just so versatile! And that Turkey, he is too funny! I see some googly eyes going on him with a quirky saying coming out of his mouth! Oooo…I love your “You Make Me Smile” peacock card…SO CUTE!!! I cannot wait for this release! All the things we can create with your lovely stamps! I’m making my wish list now!!! Wow, Nicole I am amazed by your creativity. It is wonderful how you see “outside the box”. Truely wonderful projects. The peacock reminded me of the NBC one from when I was a child. Great ideas. Love the Take Three set and I think I need to get some felt, love the frame. Your felt frame is a great idea for using the negative. Thanks for the chance to win. What a great idea turning Mr. Turkey into an everyday peacock! I also love the felt frame you made. So easy but elegant too! I love that peacock. Please, peak me. Wow, I really love those leaf images and the projects today are wonderful! Wow – you really showed the versatility of Gobble Gobble! Thanks for the chance to win! I’m always amazed by the creativity shown in all the variation…love how the turkey was turned into a peacock! It shows the amazing versatility of these stamp sets. Thanks for all the great ideas! 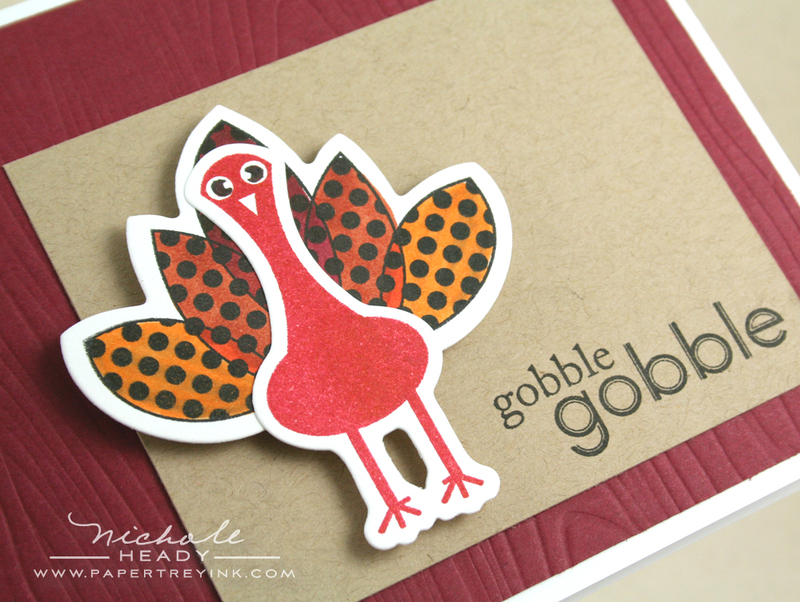 Gobble Gobble is such a much needed set in the stamper’s collection. Where but PTI could we find a matching die? Oh my, you guys have outdone yourselves with the creativity this month. We are all so fortunate! So many beautiful cards!! I love how you used the felt and the cute peacock!!! So creative! I need the leaves and dies – gorgeous! That turkey is so cute! I really love the thanksgiving card with the yellow felt. So neat! I love Gobble, Gobble…that turkey is sooo cute! Also, I have the other Take Three sets and they’re wonderful and Take Three: Fall doesn’t disappoint!! The frame made out of felt is such a great idea and I will definitely be trying this…. I am in love with that turkey and the many different ways you can dress him up!!! So cute! And I’m totally diggin’ that feltie frame and how it coordinates with the Take Three sets!!! Amazing job on these projects, Nichole!!! You are SO INCREDIBLY talented!!!! I love this cute little gobble gobble. He is irrestible. The die is certainly a big plus. As always, you showcase these stamp sets with such creativity and versatility that I feel I MUST have them! Fall themes really do juice my own creativity, so I love these images. Wooow!!! What a great sets. I love Take three, and the new dies, OMG!! !I love both sets, I can’t believe that Thnaksgiving will be here in 3 more moonths, Thanks for the projects. WOW how cute is that turkey and I love how you used the flourish with it. As usual, Alli has created fabulous sets that are incredibly versatile! And with your creativity, with the peacock in particular, we have so much more inspiration to look to! Oh My! Love the turkey, love the turkey die, and love the take 3 fall set! And the peacock card is fab. So good to see the samples and different ways to use them – especially the thinking out of the box samples like the peacock that show how versatile the samps can be. with all the heat this summer I’m loving seeing stamps that remind me of the cool days of fall. way to go! All fabulous projects. The turkey is fun and to turn it into a peacock? Wow! I’d never have thought of it in a million years! Beautiful cards and am eagerly awaiting this month’s new release! I love the Gobble, Gobble set. It’s so hard to find good Thanksgiving sets and this one is so cute! That turkey is so silly–what a cutie! I absolutely love the embellishing you do with felt – I think I am finally inspired to get out the new sewing machine I’ve had for a year and never opened! Can’t wait to order more felt for Halloween and use it with your cute sets for treats for my kids school friends! How adorable, the turkey is just the cutest and I LOVE how you turned it into a peacock, so clever (definitely my favorite card). Thanksgiving is my favorite holiday of all. It goes back to my childhood when family always came to Mom’s for the day. The warmth and love of the season is like no other. Love Mr. Turkey and all your clever takes on his tail, especially the flourishes! Too, too cute! These projects today are amazing once again! I love the different colors you showcased today and how these sets can be so versatile! This month has blown me away! Beautiful projects! … love the turkey … my mind is spinning from thinking about using it for Thanksgiving dinner … love it! Ali and you have done it again. I love the turkey/peacock and your projects all look fantastic. The turkey is so cute and I love the versatility of the peacock too! Such creative ideas to CASE. Love the peacock!! Great projects! I really like the one with the Harvest Gold frame and the peacock. Very versatile! I don’t usually make Thanksgiving cards, but that turkey is so cute!!! Amazing projects, as always! That friendship sentiment from Gobble Gobble is so sweet. How fun it would be to send that out at Thanksgiving. Versatality…that’s what you get with PTI! Amazing card ideas…both “inside” and “outside” the box! The peacock is just incredible! Your ideas are amazing, & I wonder…does your brain just get tired, thinking of these wonderful projects!?! Great-looking set, & I love everything you have done! Very cute and inspirational, as always! It is always very difficult to wait for the next group of projects ‘cos you never fail to produce more & more inspiration. Today’s card designs make stamping seem so easy … especially wowed by the integration of other sets. I love autumn colors and would love to use them with the two new sets showcased today. Love the turkey! It’s perfect that it’s in 2 parts so you can make colorful feathers! Love the ideas!! these cards are SOOO cute!!! Wow, these are just adorable. I love them. My family is new to Thanksgiving so that set is a must have for us. I can’t wait to start my fall projects with them. I really like the pairing of take three squares with the fillable frames die- such a great look! And the peacock was super cute! The Gobble Gobble die is adorable! What amazing projects!!! I’m so excited!!!! That peacock is such a great example of the ‘other’ uses you always point out to make us NEED these sets even more!!! The peacock smiles card is my favorite. It is so cute! I always enjoy Alli’s stamp sets! Love the Peacock!! I adored the summer set – definitely need the Take Three Fall set! Both of these sets will provide many fun & creative projects for fall card-making & scrapbooking! I am always on the look-out for sets that are versatile…..and I think these can be used in both of my hobbies. That is just the cutest turkey (and peacock) ever! Really love the color scheme and the use of Embellishment flourishes for the peacock!!! Never in a million years would I have thought of turning the turkey into a peacock. But I love it! Those colors together are gorgeous… Going to have to try that out! All the projects are so well done, but I am in love with the peacock! Thanks for the abounding inspiration! Really cute… and the projects are really great! I love the peacock!! I would loove to win! Beautiful! I love how you turned the turkey into a peacock. So creative. And that felt frame is a terrific idea. I love the way you take these sets beyond their obvious purpose – who would have thought I would be longing for a turkey set, LOL! The peacock is AMAZING!!! I love the peacock using the turkey – how adorable! And the Take Three series has been one of my favorites this year. I can’t wait to try them with Fillable Frames #7. I’ve never made Thanksgiving cards before, but I’d be sure to make a ton if I had this set. Amazing projects! I love having place cards at Thanksgiving and Christmas Dinner. The turkey is so cute and the leaves will make great projects for Turkey Day dinner favors! Love the frame you made with the felt and the new fillable frames die. The peacock card is a great idea. I love the peacock . I looks so funny. Beautiful Stamps Set !! Two more great sets in a great month! And so many inspiring projects – great job Nichole & Alli! I love the versatility that these sets have! That’s why i LOVE PTI stamps sooooooooooo much!! Love your felt Thanksgiving and Happy Fall cards. And who (other than you) would have ever thought of using Embellishments to turn a turkey into a peacock? Anxiously waiting until the full reveals tonight, and thanks for the chance to win! Wow – these are all so cool! The peacock is awesome! LOVE IT! Also, I like your discovery with the fillable frames die – that makes it very easy. Thanks for the chance to win, Nichole. Oh my gosh that turkey is so adorable! I love too how you’ve made a peacock with the set. Definitely going to be a must have for me. 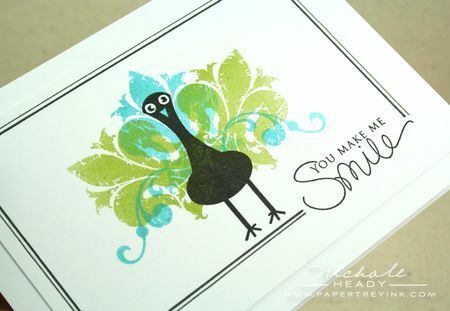 This peacock card does indeed make me smile! So fun! I also love the disguised pink turkey tails–they almost look like tropical flowers. You are so creative! Also love the Take Three sets with Fillable Frames #7–especially the vertical one. What great sets and projects! I like all the different pumpkins. The felt frame very cute as well. Thanks for sharing! What wonderful projects Nichole. Can’t wait for tonight. Turning a turkey into a peacock, who would have thought?! Another must have! Lead me to the money tree! I love how the turkey can also be used as a peacock!!! The coordinating dies are a definite bonus!! The Take Three sets are so beautiful. Such wonderful sets with so much versatility. A great series. Anxiously awaiting the Winter set. Thanks for all the lovely projects. I love how you made the peacock with the turkey image! Perfect! The fleur de lis turkey is BRILLIANT!!!!!!! Great samples. What fun ideas! Love it! The pumpkin trio is wonderful. That turkey is just too cute! And that he doubles as a peacock is awesome!! I wonder what else he might dress up as??? the turkey is just too cute – how perfect for Thanksgiving! I love the non-traditional look of these stamps. That turkey is so cute, and I also love him/her? as a peacock!! Adorable. Love the sets, but my fave is the pumpkins…too cute for Halloween & Thanksgiving. That turkey is just too darn cute!! I am also loving the Take 3 pumpkin, very cute as well! These sets are so cute! The cards are so simple but beautiful! Thanks for the chance to win!!! What a fabulously cute set! I love the turkey and all of his little feathers! Too sweet! Just when I thought I couldn’t possibly gasp with every countdown, you pulled out that little felt frame with the image inside. That card is awesome! I’ve had my eyes on these Take 3 stamps since they debuted and now I think they will need to join my PTI collection after seeing this sample. As for that little turkey, he just might be cuter than wise owl. Thanks for the fun inspiration. Such a fun peacock! Love how you brought him to life! It’s fun to see these images & looking forward to cooler weather! I’m a big fan of all of the Take Three stamp sets. They are so versatile because you can get so many looks by using them all together or breaking them up as individuals. As usual, all of your samples get my creative juices flowing. I think your peacock is absolutely fabulous! Love the colors and use of Embellishments. The felt frame is also wonderful. The stitching gives it added dimension and texture. I love it all! Can’t wait for tonight!!! I am so excited that the Fillable Frames #7 die works so well with the Take Three stamp sets. That has me looking at the Take Three sets in a whole new light. Thanks for sharing the great ideas. That turkey is sooo adorable! I really like the different options for his tail feathers. I am itching to work on fall cards and this set is just the ticket! Thanks for so much inspiration!! I love this fillable frame and that little “peacock” is tooo cute! LOVE the peacock. Your creativity amazes me. OMgosh! The pumpkins and turkey are just adorable!! I really love the felt, it adds such a fuzzy warm look to the fall projects. The turkey is so cute and I love how you made a peacock with it also. So creative! Take Three Fall is beautiful and I love the pumpkins. I love Fall and these pumpkins and adorable little turkey are getting me in the mood! Wonderful projects for us to get inspired. I love that turkey! I love it all!!! That is one adorable turkey. LOVE the felt window you created, so striking! What a fun way to celebrate Thankgsgiving!!! That peacock is so cute! I love the Take 3 Fall set and that turkey with the flourish tail is so cute! Amazing ideas for these sets. I am not usually a Thanksgiving crafter, but I may have to start. Fabulous stuff!! Only PTI can make a turkey work year-round! Absolutely amazing! Your peacock is fantastic, very dramatic for a simple card. The colors are great. What a cute turkey that turns out to be a chameleon. TFS. Your projects are super cute! Gooble Gooble set so adorable. TFS. These are all so cute! The peacock is amazing! I love that little turkey!! What a perfect idea to have the two parts of the turkey broken into two die cuts, love it! I also really like how you made the peacock. This is the cutest turkey I think I have ever seen! Love it. And that peacock, ingenious!!!! Nichole you rock 🙂 Loving the Take Three series also. Great Fall images. Oh my–how cute are these sets. I like the fact that you could use them past just one season. Like using the turkey feathers as embellishments. Amazing cards…thanks for sharing and for the chance to win these amazing sets and die cuts. That is the most adorable turkey evah!! So much fun, and the peacock is to die for! Both sets are so versatile. I love the peacock. It’s so pretty. I love the felt frame Nicole. Great idea! I love Thanksgiving but that cute little peacock you created just takes the cake! How do you do it? You constantly showcase a stamp set using it in a variety of different ways and themes! I love the simplicity of these two sets and how easy you could whip up a batch of cards using these sets! Looking forward to the release tonight. This is awesome! Love the ways to use the turkey! Yay, doing a happy dance. Love this set. This is our fourth Thanksgiving and we are establishing our own traditions and I just love what Alli has designed for us. So versatile. Love the turkey cards! You have a knack for thinking outside the box – the peacock is very cute!!! I love the little turkey! This is such a great release, the team has really done an amazing job! i love him turned into a peacock. very pretty and creative! Fun fall sets, I have to say that little turkey made me smile. Can’t wait for the 15th to see everything! WHAT?!?!?! That turkey’s feathers are AMAZING! I can’t wait to see the whole thing….. you’ve got me intrigued! Beautiful set! What a nice way to make some simple cards for a sometimes forgotten (card wise) holiday!!! That turkey sure is cute. I can’t believe all of the great card ideas you came up with! As always your team never fails to deliver on amazing stamp sets and the like! I love Papertrey Ink! The Take Three are some of my favorites and the Fall one is a must for me. And who couldn’t love Gobble Gobble. Wonder if the fact that I was born on Thanksgiving has anything to do with my love of this season? Very clever peacock! All the projects are great! Not long now til we can see more! Can’t wait! That turkey is perfect. I also love how you turned it into a peacock. I always love Alli’s choice of fonts and her graphic style. Whoa, these cards are so FUN! Love how you “ink outside the box”, Nicole :o) Ali certainly has a flair for the whimsy~adorable set! Thanks for the chance to win this package of fabulousness. Wonderful projects, and I like how you used the turkey feathers as a side element to accent the label. The Take Three series is a must have for sure! I LOVE all of the Take Three Sets and this one is no exception. And the peacock rocks! This is definitely the icing on our Fall cake ladies. And what an awesome price package to win! Looking forward to the next few hours tonight! These sets are wonderful! My favorite is the Take Three set. Your projects are just beautiful. Nichole, the projects are wonderful as usual and the new sets are so fun and inspiring. Thank you for adding all of the supplies and tools for each gorgeous creation. Who’d of thought that a turkey would make such a cute peacock. I love fall and these set feed my addiction! Thanks for the chance to win. Love all of the samples! The peacock was really a fun use of this set! The turkey is cute, but the peacock is amazing!! I love that PTI sets can always be used for something so delightfully unexpected! What a freat addition to the Take Three line…Fall is my favorite season and all the fall additions are calling my name! That turkey is absolutely adorable! As usual, I am so inspired by all of the projects and excited about the new release! That turkey is just soooooo adorable. I love that it has a matching die!! 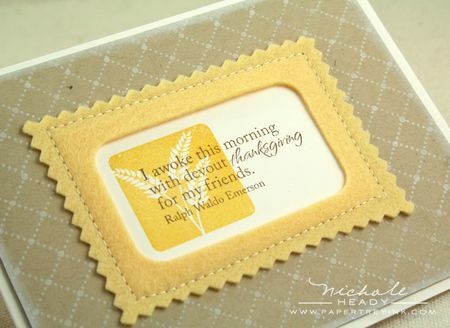 I love how your samples show that it can be used for many different cards and nnot just thanksgiving. SO inspiring!! Nearly speechless from AMAZEMENT – my checkbook is doomed with this Fall Release!! WOW!! I have been looking for the perfect idea for this year’s Thanksgiving favors and I just found it – LOVE absolutely LOVE the Gobble gobble set and the Die set to go with it!!! They will be PERFECT for the idea I just came up with while looking at all the samples!!!! I LOVE the turkey and can’t wait to try it out! And the dies, sure beats tracing and cutting around my hand, LOL! The leaves are just perfect for making centerpieces and lovely cards. I love your peacock, too. Can’t wait for Thanksgiving and Fall now! i love the way the Embellishments stamps were used to make the cool turkey. WOW what fantastic sets these are. The peacock that you made is adorable. What cute and wonderful ideas love them all!! Love it. Especially the Take Three set! That peacock is a-dor-able!!! I love how you used the flourish for the feathers. Love Alli’s new sets. What a great way to celebrate the autumn season! Two more cute sets! I thought turning the turkey into a peacock was a very cute idea. I also love the wheat image, very nice. The turkey-peacock is simply too cute!! Your ideas are inspiring! You always show us ten different ways to use one single stamp! I always want to run into my craft corner to come up with something equally creative! I love it! That is the cutest turkey I have ever seen!!! And a die match………fabulous! The turkey is just the cutest thing around, and I love how you even turned him into a peacock! This is such a fabulous release! That little turkey is too cute! What a great idea making him into a peacock. I also really like the card using the felt window! Oh my gosh…love the peacock 🙂 I love having both the dies and stamps available. This going to be another great release where I want everything! Gobble Gobble is so cute!!!! What a great set – and I love take three fall – I may have to order the others as well! The Gobble Gobble set is so whimsical. I just love it and the peacock smile card made me smile too. Such fun! With your creativity, these sets come alive. I especially love the idea with Take Three and the Fillable Frames die…Nice! Love the turkey, but OMG, the peacock!!! Amazing. Thanks for the chance to win! Such great sets…so versatile and fun! Love what you, Alli, and Maile created with them, especially the peacock!!!! I am LOVING the Take Three: Fall projects, especially the one with the different colored pumpkins. Summer Sunrise, Orange Zest & Terracotta Tile is a beautiful fall color combo. I can’t wait to get my hands on some awesome new fall products!! I love all of Alli’s stamps. That turkey is so stinking cute. It was very clever of you to turn the turkey into a peacock. Absolutely love all the stamps and dies! Fantastic projects! I love gobble gobble and I know my 5 year old daughter will too!!! And I love how you created the peacock! Alli never disappoints…PTI is awesome another great release. I sure do want it all. What a cute turkey (and peacock)! Really cute samples. What great ideas! They are added to my list! That turkey is the cutest thing ever! I love the polka dots. I have the Take Three Spring and Take Three Summer stamp sets and love them both. Take Three Fall is another winner. I love these sets – so classic and versatile. Love both of Al1i’s sets. The turkey dies are too cute. I love the peacock card you made with the embellishments flourish. Love how fresh and fun these sets are! I am totally “caseing” the felt frame, too!! I love the classic clean lines of Take Three: Fall and the whimsy of Gobble Gobble! Oh, and that there are dies to match!!! Again, I’m just blown away by how elegant a set that at first seems “cutesy” can become. Great projects! Does your brain hurt thinking up all these wonderful ideas? How stinkin’ cute is that peacock! I love the wheat and the pumpkin in take 3. I think the peacock is really SOOOO cute!! I love that it’s also versatile and can be used in other ways. Very cool!! Fantastic new sets and samples! Thanks for the chance to win. Have a great Sunday. The release was fantastic. I’m already wanting to place ANOTHER order! haha I’m SURE I’ll be wanting to after I see more of the ladies’ creations!! !